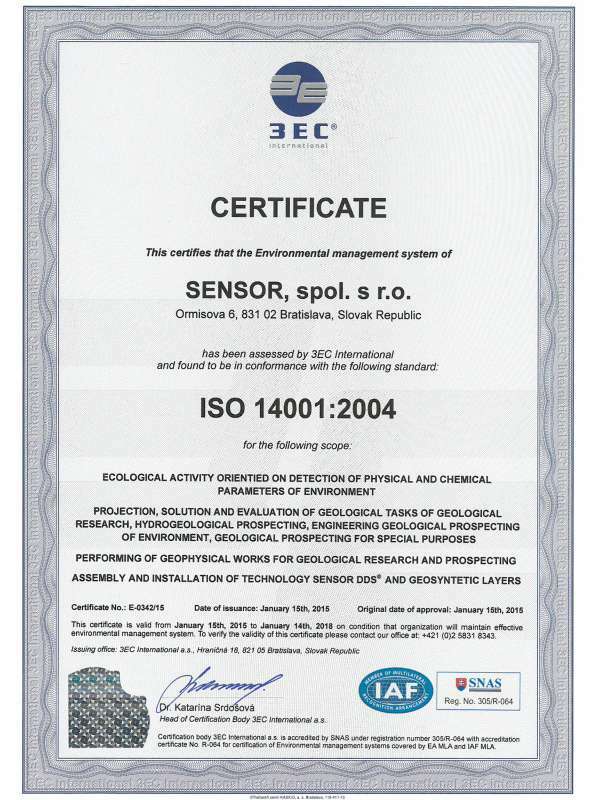 On the 10th of April 2015, Sensor has achieved another certification from ISO family. ISO 14001:2004 sets out the criteria for an environmental management system and can be certified to. It maps out a framework that a company or organization can follow to set up an effective environmental management system. It can be used by any organization regardless of its activity or sector.